Go to brunch with a Virgo. You’ll be convinced to try somewhere new and exciting (and end up loving it), and you’ll be there for several hours connecting with that Virgo on a deeply profound level. Virgo is ruled by the Earth, and they have the ability to remain grounded in turbulent situations. This sign may appear modest or closed off at first glance, but that’s because they’re carefully evaluating their environment. They’re deciding if it’s worth their energy to participate. The moment they speak, however, those who may have overlooked them suddenly gravitate towards their captivating aura. There’s much more to know about the Virgo, so read on! We’ve also covered Leo in this series! Read Leo Zodiac: Everything You Need to Know About This Fire Sign (Raarrr!) to learn more. This article explores characteristics that define a Virgo zodiac sign. Whether this sign belongs to you or not, this information will help you understand this earthy sign a little better. Virgo is highly organized, and masterful when it comes to detail. They’re excellent planners, and they have high standards for projects, people, and experiences. They tend to be most critical of themselves because of these high standards. Virgos feel the urge to achieve greatness. This compels Virgo to “step up to the plate” and take control of situations, ensuring everything runs smoothly. Virgo is extremely goal-oriented, but authentic in every aspect of their life. Virgos would much rather split a room at a bargain Airbnb than spend their hard-earned money on a ritzy hotel. On a trip, they would prefer to take public transit and focus on doing as much as possible to get the most out of their travel experience. Virgo makes an excellent travel buddy. They enjoy creating an itinerary with plenty of flexibility for spontaneous moments. You never know what adventure looks like with a Virgo. You could be aimlessly bar-hopping or discovering a local hole-in-the-wall with the best food you’ve ever had. These same concepts apply to dating. Virgo isn’t impressed by your fancy car or a prix fixe menu at the most sought-after restaurant in town. They crave authentic connection that builds over time . . . so get creative with where you go and what you do! You’ll have to put in effort to stand out. Focus on getting to know them, because they’ll pierce through superficial convo from the start. Virgos don’t chase fleeting romances – not for long, at least. They’d rather be with someone who can discover the world by their side, challenging them along the way. Once a solid foundation is established, the emotional intimacy and physical connection you’ll share with Virgo will be truly unforgettable. Virgo naturally sets aside emotion when it comes to problem-solving. This makes them a stable, reliable force for close friends. Virgo is your go-to person if life is unraveling and you simply can’t. Your Virgo bestie will stay by your side, listen to each incomprehensible word between guttural sobs, and wait until you’ve ugly-cried yourself to exhaustion. Then, without skipping a beat, they’ll offer sage, practical advice to help you navigate the situation with ease. Virgos tend to attract peace and emotional stability, and won’t put up with toxic environments or people. This makes them naturally independent, emotionally strong, and extremely good at letting go of anything that doesn’t serve them. 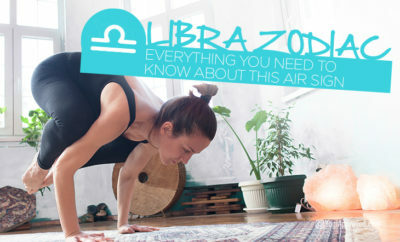 Want to learn more about what your zodiac and how it impacts your yoga? 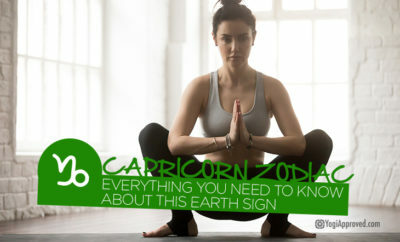 Read What’s the Best Type of Yoga Based on Your Zodiac Sign? Stabilize with this grounding, upright pose first. This will keep you level-headed and centered. Learn all about that big belly breath with the funky name. Read A Beginners Guide to Ujjayi Breath. Virgo’s skip the small talk, so get down to business with this challenging, strengthening posture. 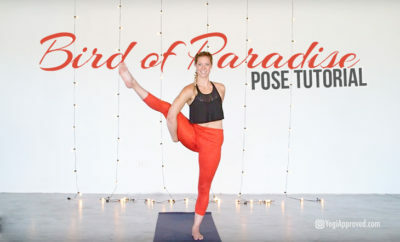 It takes practice to find both effort and ease in this pose. It can be an intense hip opening stretch. 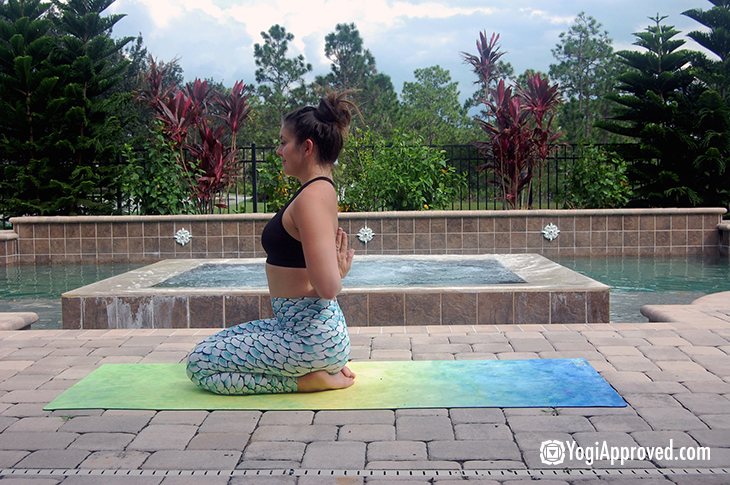 Sphinx Pose lifts your heart while your body stays grounded, creating a gentle backbend stretch. 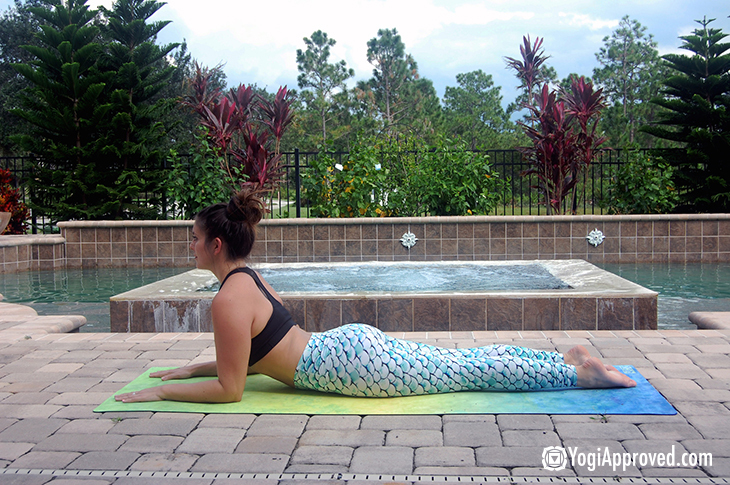 While this may seem like a resting pose, it’s actually working your whole body! The muscles in your arms, legs, shoulders, and back are engaged, which makes Down Dog excellent for stabilizing. You’ve gathered stability . . . now use it to balance in Tree Pose. Virgo. You’re the grounded, emotionally stable, zealot for planning we all need in our lives. Your even-keel personality and ability to captivate anyone in a room is truly astounding. We love you, Virgo! 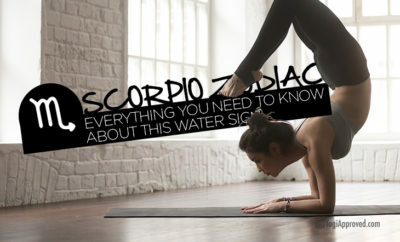 We will follow up with an article for each sign of the zodiac, so be sure to stay tuned for the next sign. Writer and editor for yogalifestyles.com, Melody Beuzelin is also a 300-hour RYT and certified personal trainer. When she's not diving into digital content strategy or directing on set with the Yoga Lifestyles film crew, she’s determined to become a citizen of the world and disrupt the concept of "business as usual." Imagine living in a city that supports your goals and aspirations while being harmonious with your personality and pace, and aligns with your zodiac sign!